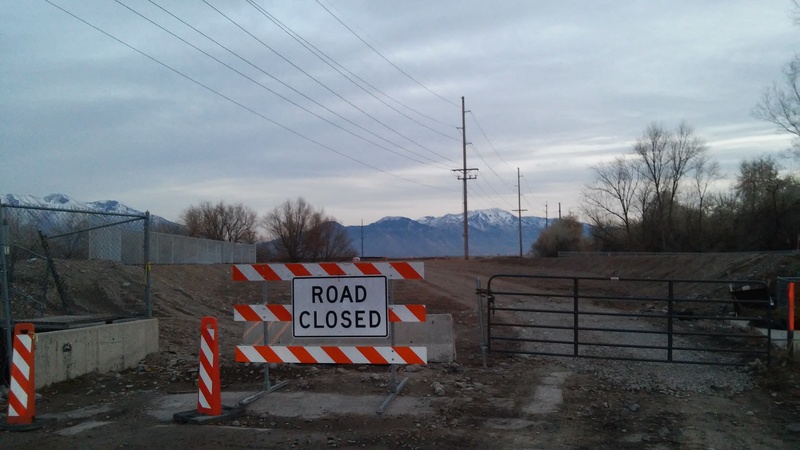 I didn’t want to get in the way, so I waited until all the heavy equipment was parked for the day and hopped the “Road Closed” sign. 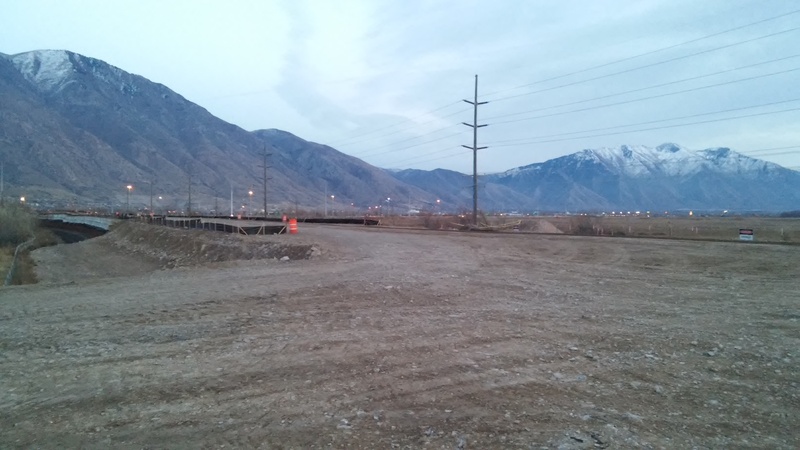 Here’s where I approached the corner of 500 West and Westside Connector. 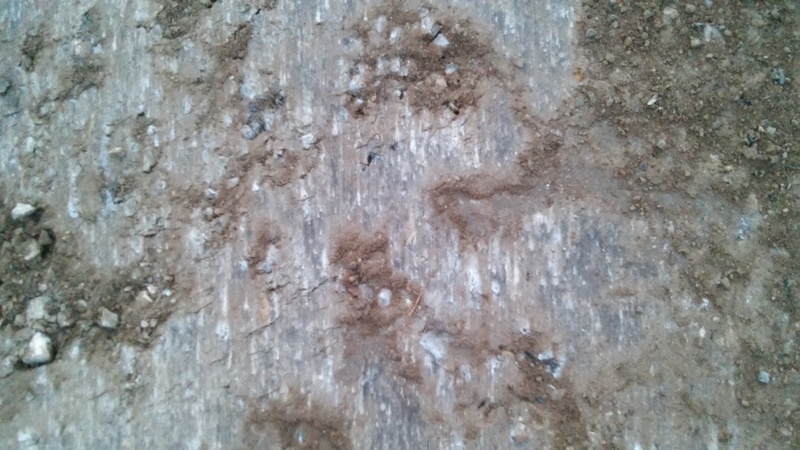 The base material looks rather interesting. 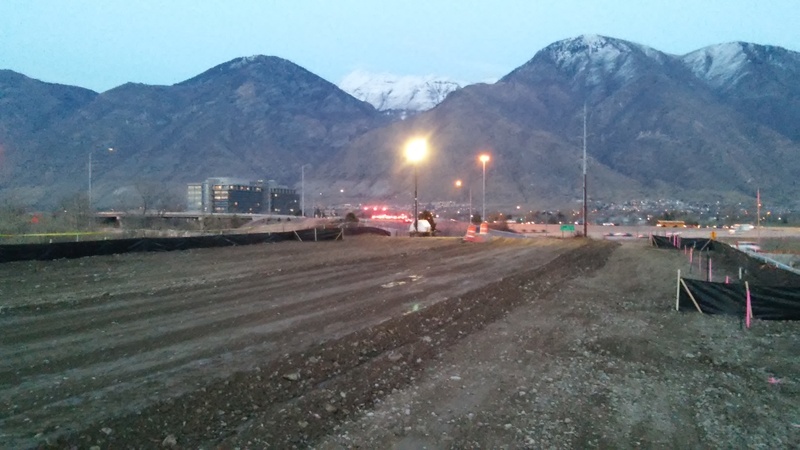 It almost looks like there is asphalt underneath the dirt they are moving around. 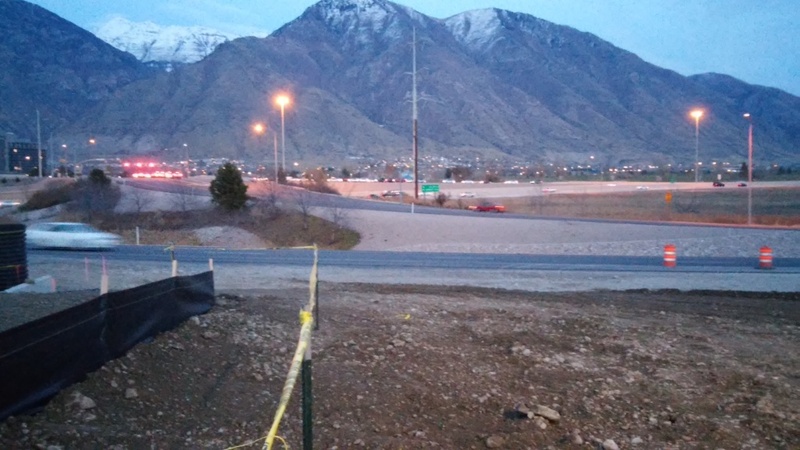 I’m certainly no pavement expert, and I’m confident that’s not really asphalt. 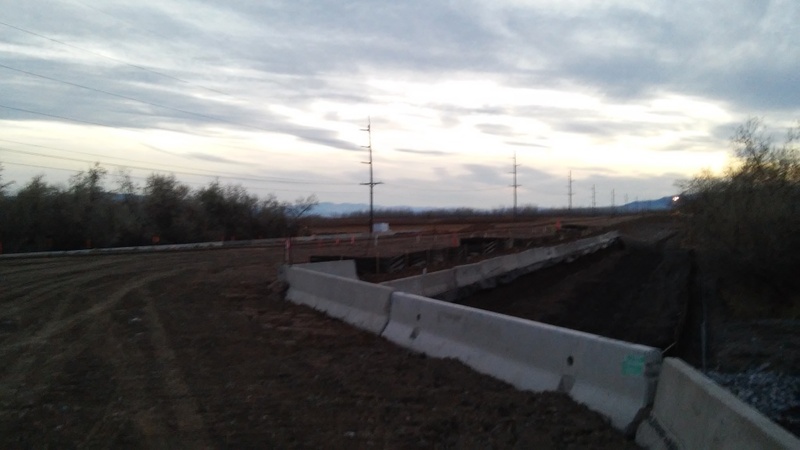 Still, it’s impressive how stiff the base material is. 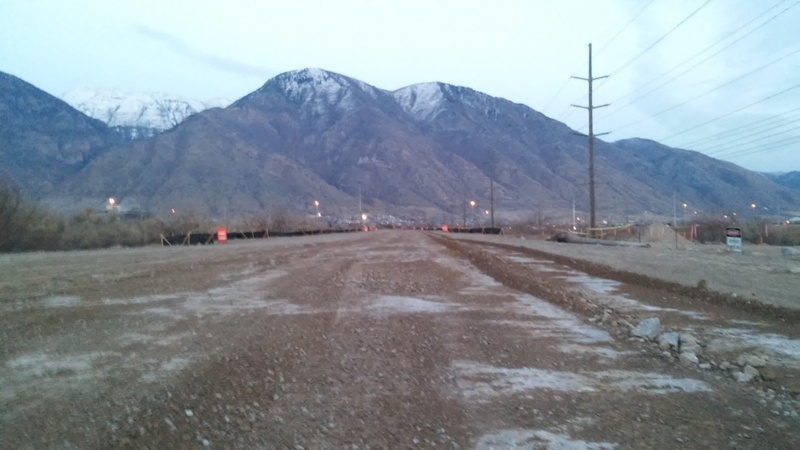 I’d be willing to attempt driving a Honda Civic on this. 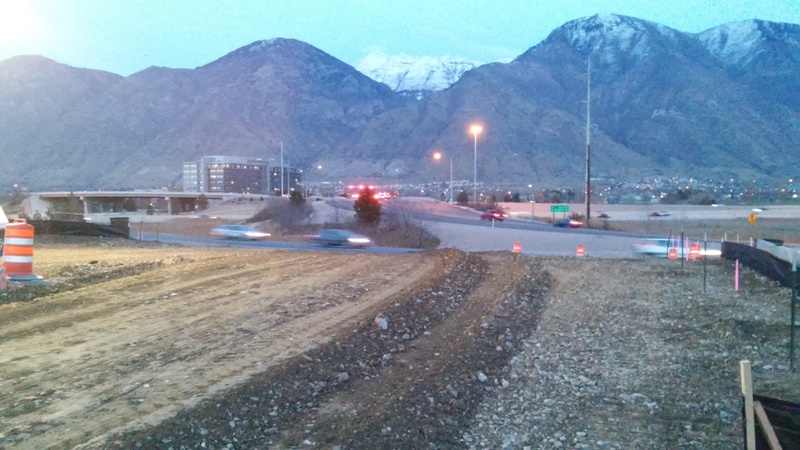 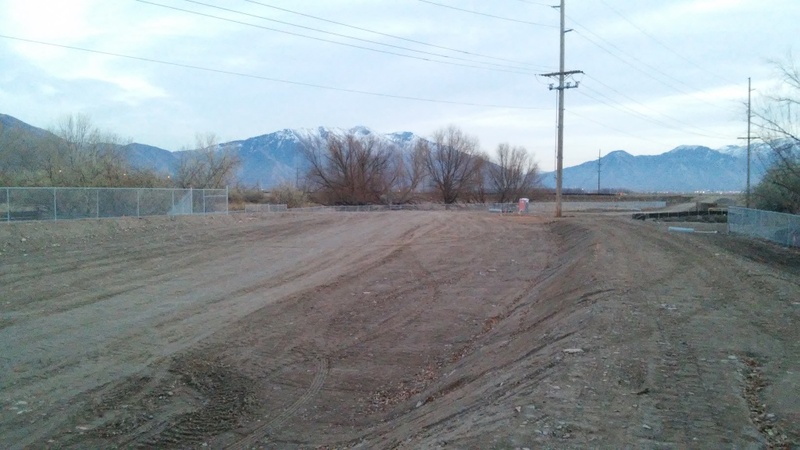 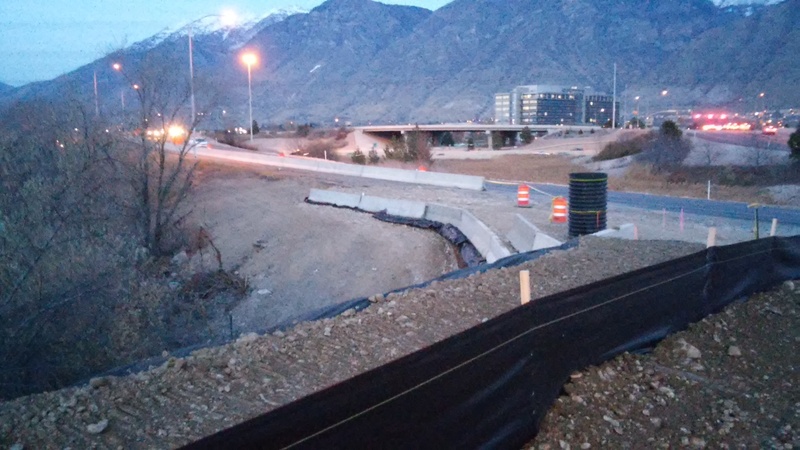 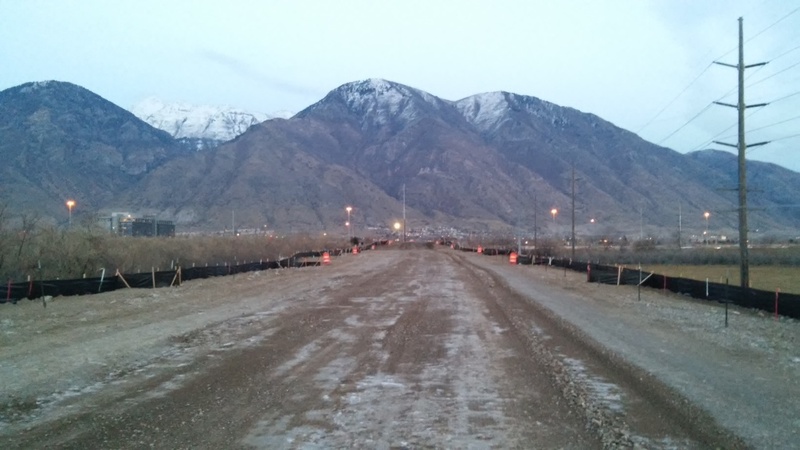 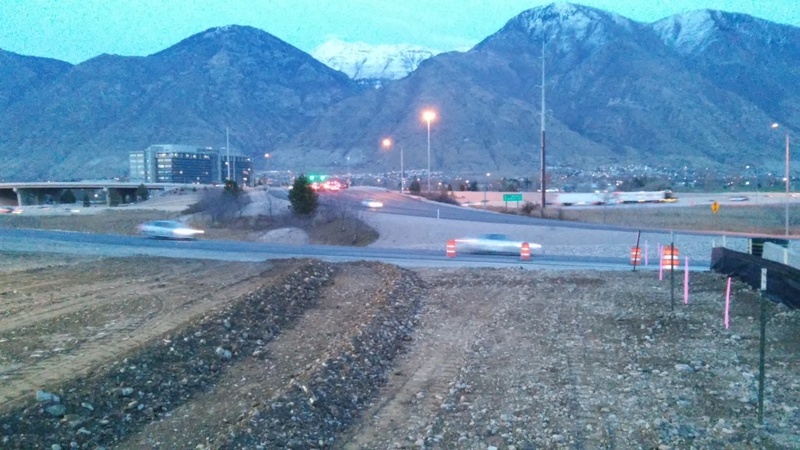 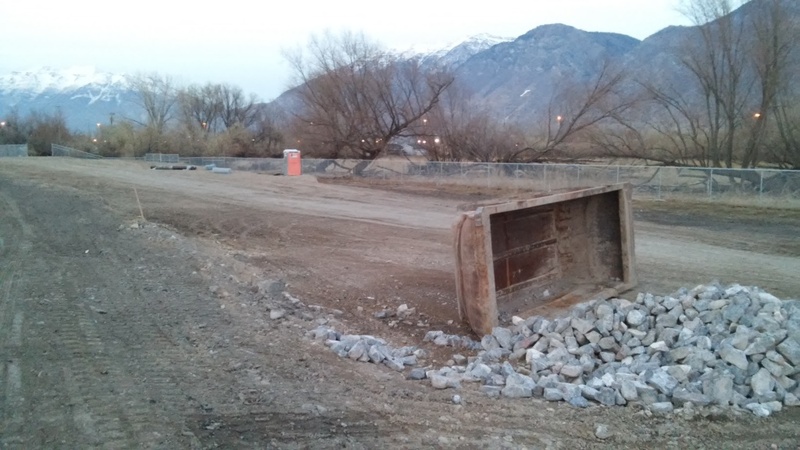 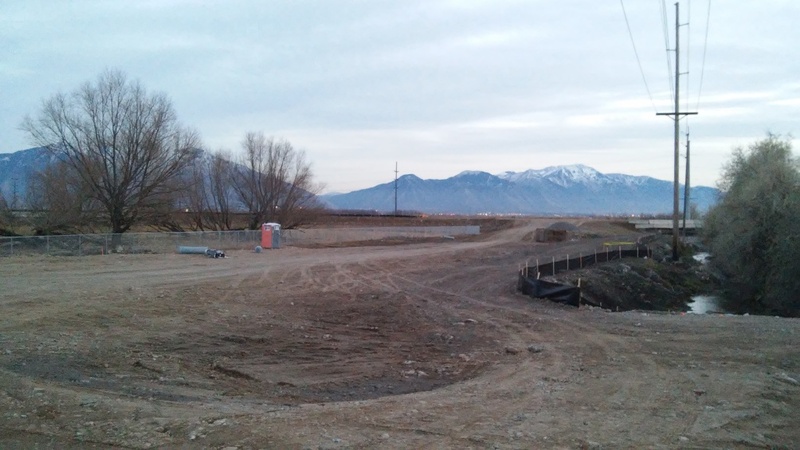 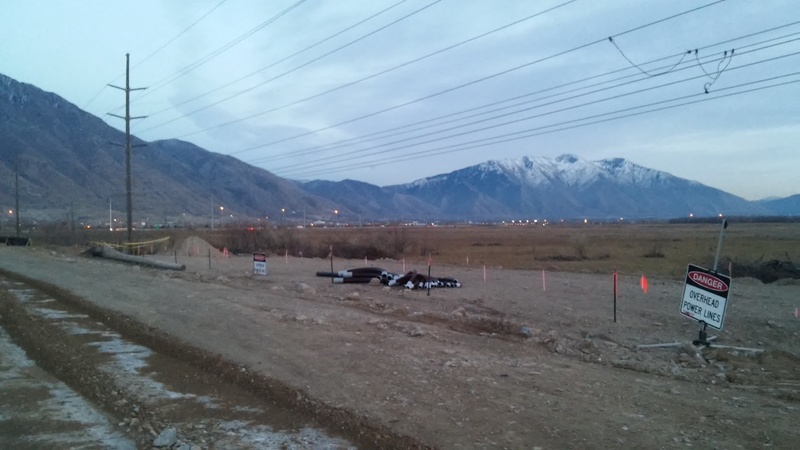 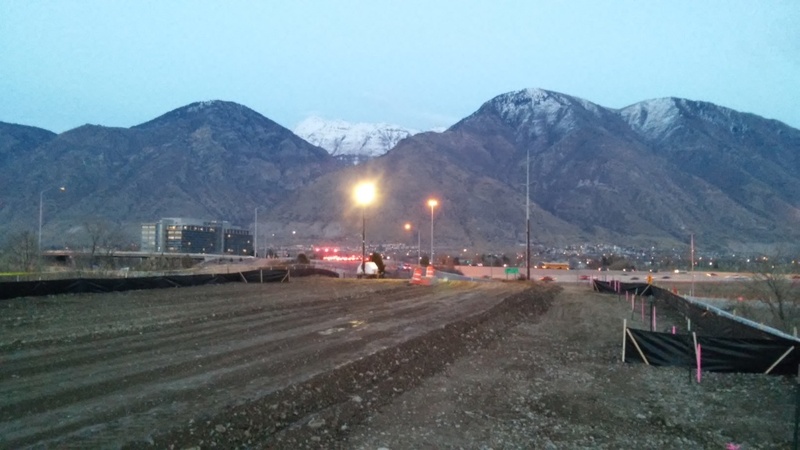 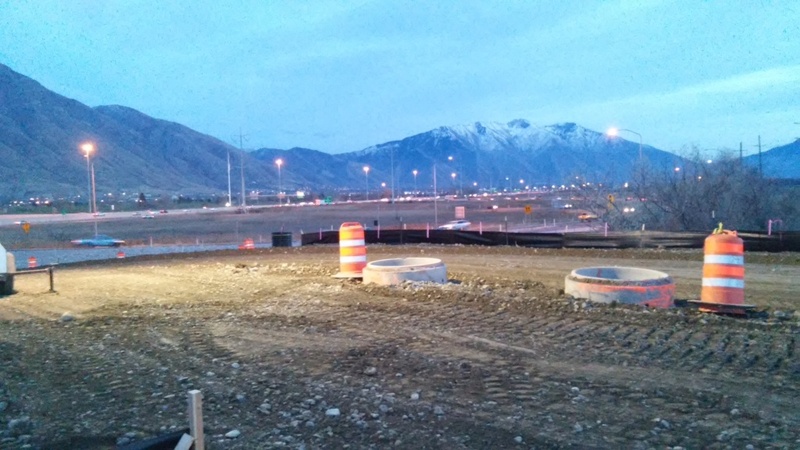 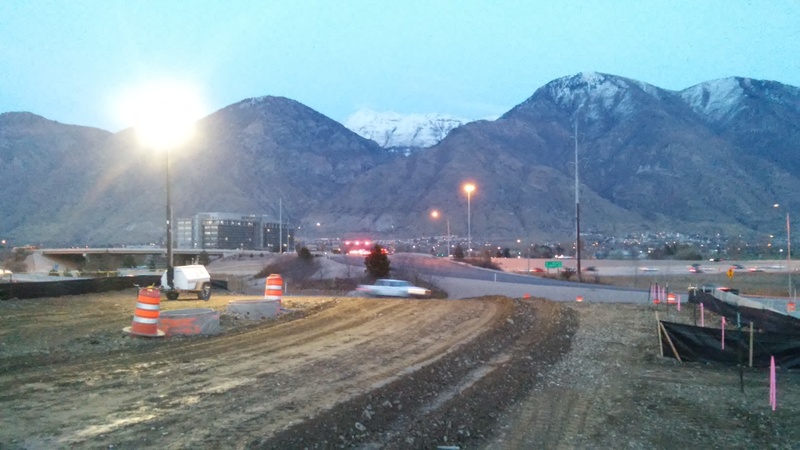 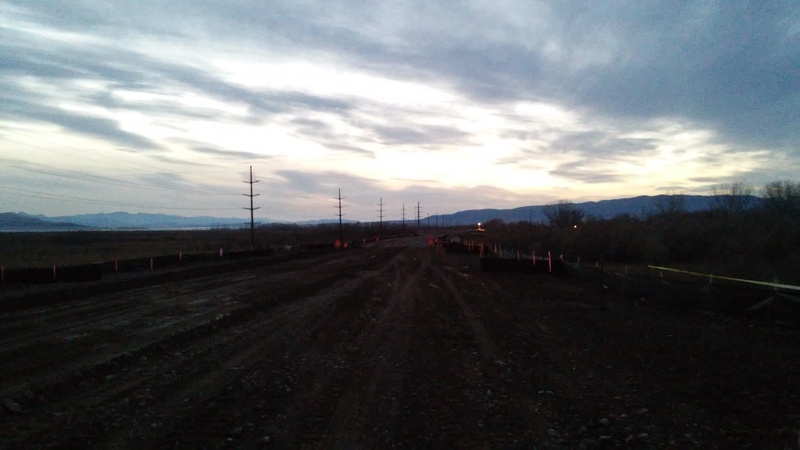 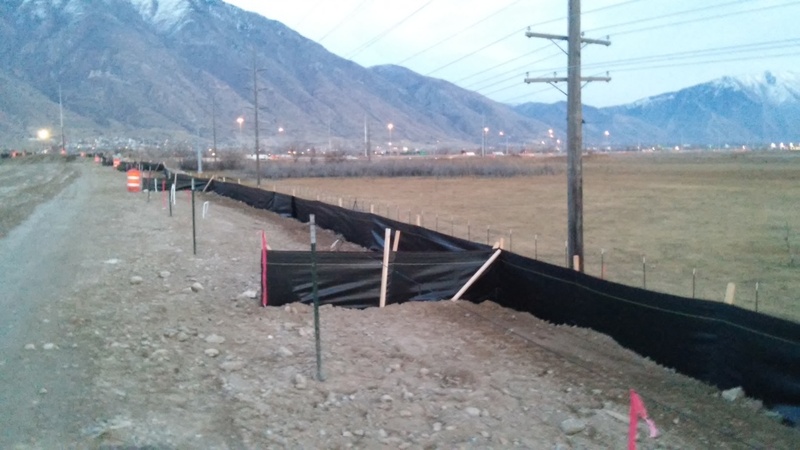 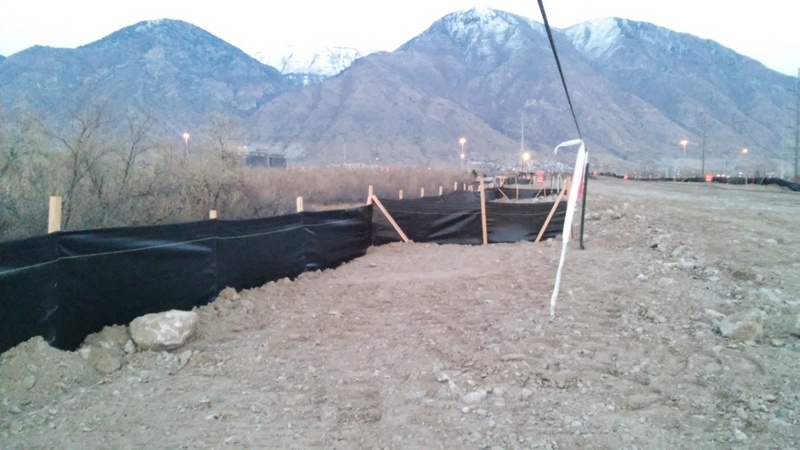 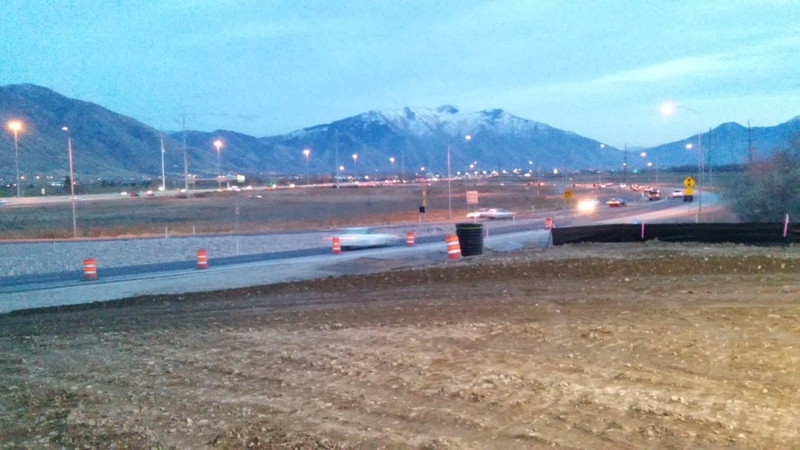 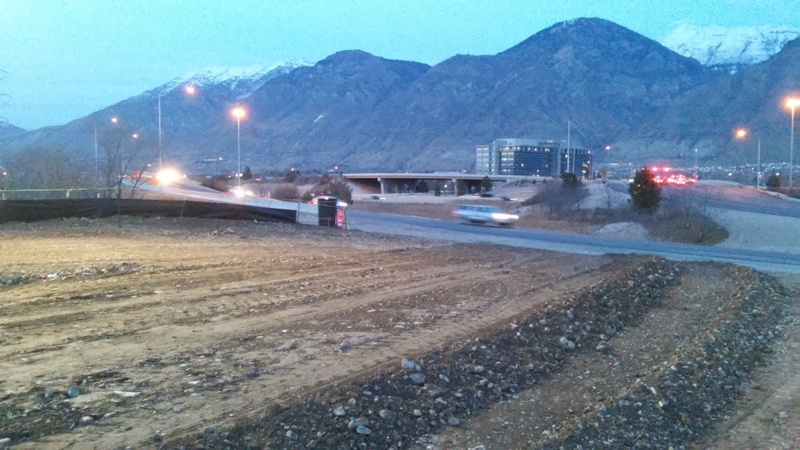 The Westside Connector is a planned arterial road which will connect Interstate 15 at University Avenue to the Provo Airport. 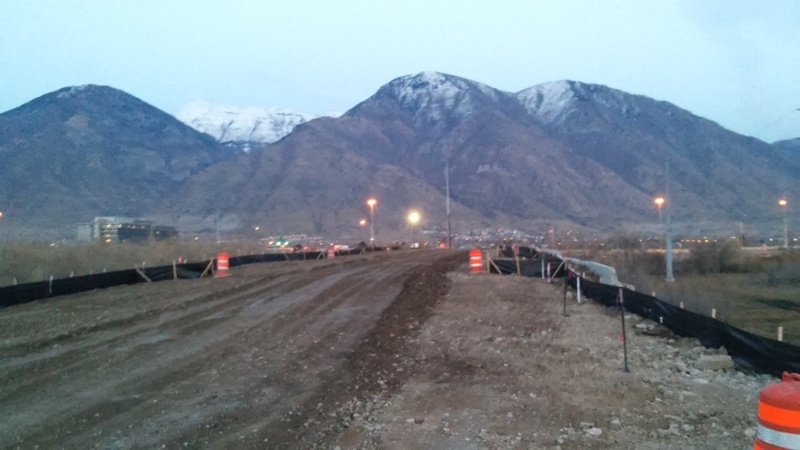 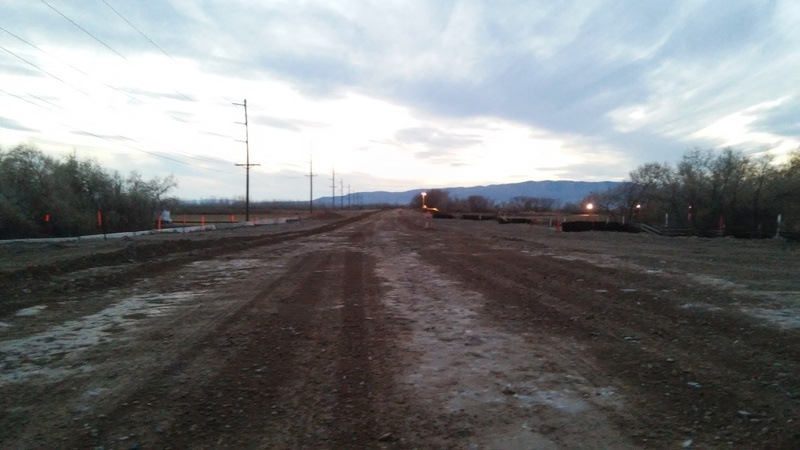 At full build-out, it will have a pedestrian multi-use trail and four lanes (two in each direction). 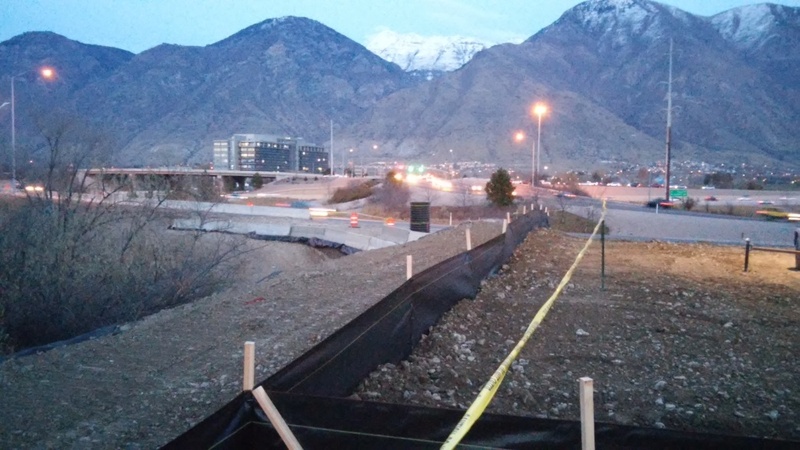 Initial construction includes the trail, but only one lane in each direction.